Serious games are games that go beyond the merely playful to achieve a particular purpose, which may have to do with education, awareness, cure … This represents the challenge of what we call ‘Knowledge Transfer': the practical problem of transferring knowledge from one part of the organization to another or the formula to adapt ‘serious’ content to game environments. The Expert or experts: the client for which the game is being developed, a partner in the project or someone hired for that purpose. The presence of people who are possessors of knowledge on the subject in question is essential in the development of a serious game. The Development studio: They receive the Knowledge Transfer and transforming the usual context of this matter into a video game. But how do you do that? How does a development studio absorb the core of ‘serious’ content and transform it into a video game context? Judging from the different experiences of serious games that are on the market, we can assess the existence of the following formulas by which this process of transmutation of content occurs in the ‘serious’ video game industry. Simulation is a formula embedded in the video game essence. It had a big bang with products like the car driving or aircraft simulators like the classic ‘Flight Simulator‘. But it is with so-called ‘strategy games’ when this process reaches its peak. These games are all about creating complex networks of artificial intelligence and algorithms that make it possible to simulate reality. They are free worlds where every player’s decision or action unleashes a result that is interlinked with all the factors that influence the final outcome. The use of these sophisticated algorithms in the development of serious games can lead to amazing experiences. 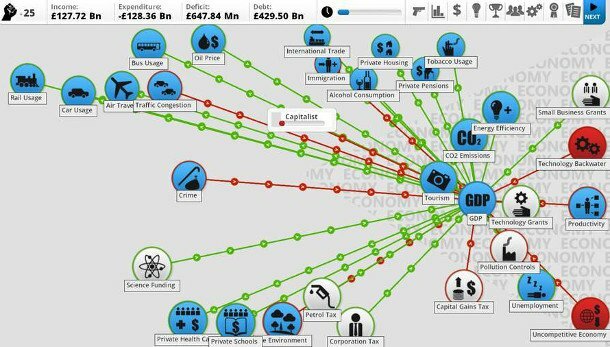 Democracy 3, a strategy game in which the player assumes the role of leader of a country, in the perfect example. Players decide about the economy, employment, education, health, and many more variables that have an impact on public opinion. The game uses a neural network of voters, varying the characteristics of the voting groups, political parties, and pressure groups. With every little player’s decision the variables unlocked are huge, so that the objective of growing the country and keep the people happy is transformed into a puzzle. Other examples of this formula in serious games are found in PeaceMaker, where the players must make decisions that influence the Middle East conflict; or Fate of the World, that deals with major environmental crises that will strike our planet in the next two centuries. The simulation approach has provided the business world with many tools from serious games accounting simulators to real combat training. Reproduction is a much less ambitious formula when compared with simulation. This is not about replicating reality accurately anymore but about something similar to role-play. The ‘serious’ content is introduced in this model into a linear story, in a closed world. 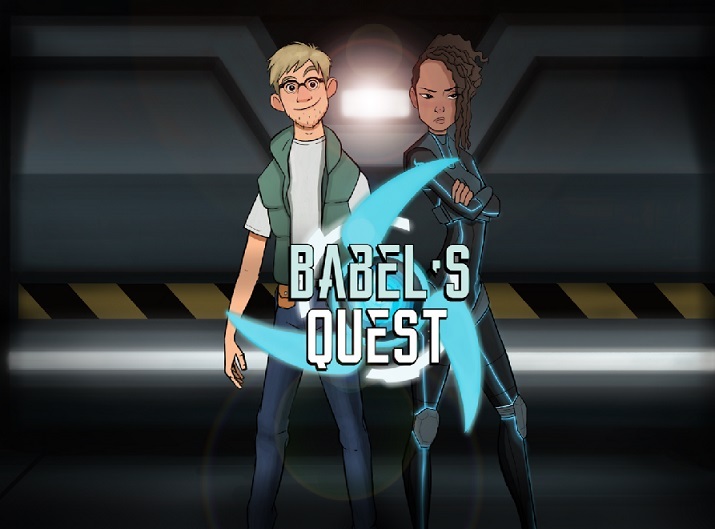 With every step of the game the player faces situations in the same pace that would happen in real life but the freedom of choosing is limited to the mark of the story. The story uses elements of real life but the options are not completely opened as in the simulation approach. The genre of serious games has a significant number of masterful examples of reproduction. 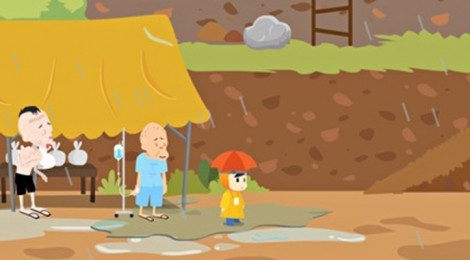 One of the most interesting is Sai Fah, The Flood Fighter, a game that was created by the Thai government and Unesco following the 2011 floods in Southeast Asia, which killed more than 800 people. The concern about the lack of preparation and information of the population in an emergency like this triggered the development of this game. The result was Sai Fah, a video game where the player incarnates a child in search of his mother during and after a tsunami. Along the way, the player faces the risk factors common in these cases, having to make the appropriate decisions to survive. Other cases of serious games using the reproduction formula are Pamoja Mtaani (Together in the Hood) an open world where the player incarnates a young African who, in his journey through the streets of the city, faces the most common risks of AIDS contagion, learning how to prevent and combat them. This video game created by the National Institute on Drug Abuse of the United States is used by crack addicts to learn how to fight their addiction in a virtual environment. The reproduction formula has been widely used by the business world, with plenty of games showing teaching in an interactive way the most important aspects of processes such as customer journey, conflict resolution, project management, etc. A third formula, that takes a step further, is the Extrapolation. This is no longer just about reproducing real life circumstances in a virtual environment but about camouflage them inside playful metaphors. These metaphors, taking advantage of the fantastic and imaginary environment provided by video games, introduce the ‘serious’ content in a parallel world: a magic circle that serves as a support for the player’s apprehension of the content. An example of this formula is found in U-Startup a serious game to train entrepreneurs in the use of the methodology ‘Business Model Canvas’. Since just reproducing the Canvas content would have ended in a way too dense game, its creators used the extrapolation formula. The character is a young entrepreneur who wants to ride his company, falls asleep and dreams the how his entrepreneur career will be. This resource allows approaching the different facets of the model Canvas situations in a kind of Alice in Wonderland entrepreneurship story. The extrapolation formula is used in other games like Brooke City, where the player plays a detective (which actually is a white blood cell) patrolling a city (which actually is the human body) to solve crímnes ( which are actually dangerous diseases). Another significant example is Nubla, a serious game where the player helps a boy in his search of answers inside the Thyssen-Bornemisza Museum’s masterpieces. Playing this puzzle-like game, players learn in depth about the famous pictures. Another example is Mini Mundi, where the planet Earth becomes a Tamagotchi that demands the attention of its owner, the player, to solve environmental problems. Do you want to read the 3 next formulas? Read now ‘6 Serious Games formulas to engage players with serious content – Part 2‘.